The whole idea behind generic drugs is that they're supposed to be cheaper than the name-brand version of the same drug. But lately, prices of generic drugs have been rising, sometimes dramatically, and no one is quite sure why. Researchers at the University of Florida College of Pharmacy took a look at the situation and concluded that it may be as simple as lack of competition. "The U.S. health care system has recently witnessed a relatively new phenomenon where prices for some older generic drugs have increased hundreds -- even thousands -- of percentage points in a short time span," said Chintan Dave, Pharm.D., the lead author of the study and a graduate student in the UF College of Pharmacy's department of pharmaceutical outcomes and policy, in a news release. "There is a lot of speculation that these increases are due to drug shortages or industry consolidation, but without looking through a lens of scientific rigor, you cannot make these assumptions," Dave said. "This is one of the first studies that has linked market competition levels to generic drug prices for a large cohort of generic drugs." The researchers found that nearly half the generic drugs studied had competition levels resembling a duopoly -- a competition level where only two manufacturers produce a drug. This will be familiar to consumers who have only two choices for cable or satellite TV, only two airlines flying to their destination, and only two insurers writing Obamacare policies in their state. In the study, published in the Annals of Internal Medicine, UF researchers analyzed 1.08 billion prescription drug claims from 2008-13 and examined and estimated competition levels for 1,120 generic drugs. After controlling for other factors, a generic drug in the highest marketing competition group -- the one with the most manufacturers -- was expected to see a decrease of 32 percent in price over the study period, while a generic drug in the lowest market competition was expected to see a price increase of 47 percent over the same period. UF researchers acknowledge the study period's conclusion in 2013 as a limitation of the research. 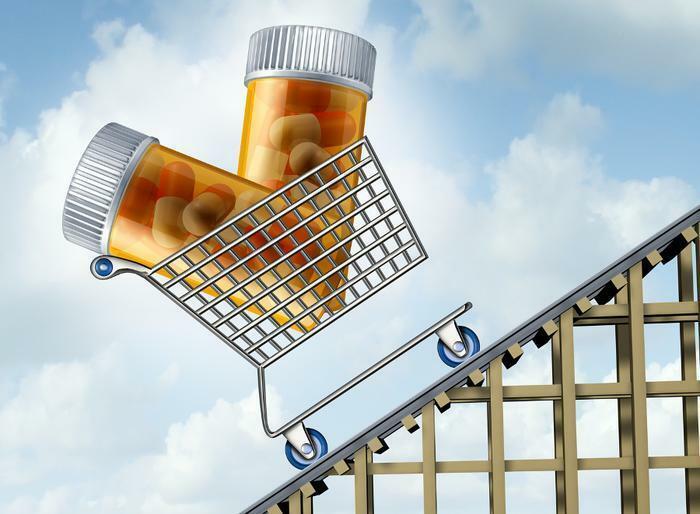 Several widely publicized cases of generic drug increases have occurred in recent years. In addition, generic drugs that entered the market after 2008 were not included in the study. "The connection this study establishes between market competition levels and generic drug prices should be an eye-opener for regulators responsible for the generic drug market," Dave said. "In recent years, some generic manufacturers have sought to consolidate their market power by merging with rivals, but these mergers risk decreasing competition levels in parts of an already uncompetitive U.S. generic drug market." You would think that new competitors would enter the market, just as Southwest Airlines often moves into a market dominated by one or two high-priced carriers, bringing down prices for everyone. But the UF study points to the three-year review time for new generic drug applications at the Food and Drug Administration's Office of Generic Drugs as one of the outside factors underlying generic drug price increases. Without new policies to stabilize generic drug markets in response to a decrease in competition, Dave said consumers may continue to see prices soar for some generic medications. "Everyone assumes generic drugs are going to be inexpensive, but this may no longer be the case," Dave said. "If you go to a pharmacy and find that your generic medication is no longer affordable, market competition levels may have played a role in the price increase. "This study is vitally important in identifying factors that influence a change in drug price, in order to keep generic drugs affordable for consumers," he said.